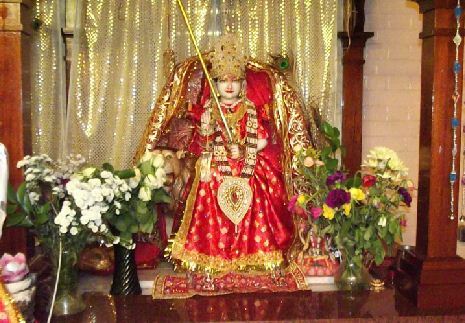 Shree Radha Krishan Dham Greenwich Hindu Temple (GHM) was founded in March 1978 in the Royal London Borough of Greenwich. Initially, members met at each other’s homes for worshipping, satsang, religious and cultural discourses. St. Nicholas Mission Hall, our present building was purchased in 1984 on a 99 year lease and the building was converted into a Temple. 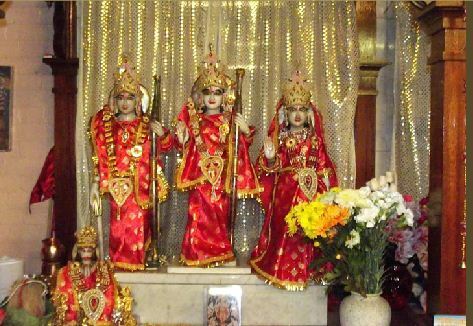 Marble Murtis of Radha-Krishna, Shivalingam, Durga mata and Ram darbar were donated by Mr Rambaba and Mr Maganbhai. Ganeshji were donated by Birla’s of India through Mr Ramesh Kumar. 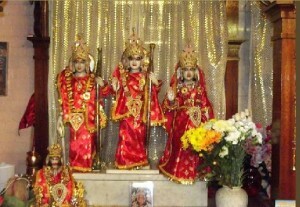 In 1993, the Temple was refurbished and the Singhasan was constructed. 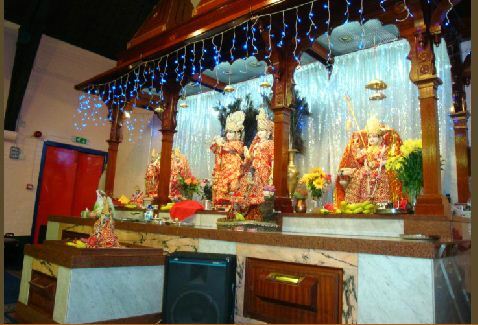 The temple is valued by the Hindu community and the congregation is increasing every year. Hindus from all parts of India and also from Fiji, Guyana, Kenya, Mauritius, Nepal, Sri Lanka, Trinidad and USA regularly visit and enjoy the cultural and religious celebrations. The principal activities of the charity continue to be the promotion of equality among the communities, spread peace and promote cultural activities within the Asian community with a view to bring people together from all walks of life. 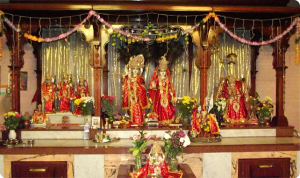 Every Monday afternoon, the temple provides bhojan / food for the congregation and the elderly. People get together socially. Devotees may chose to book any Monday and provide for the food. 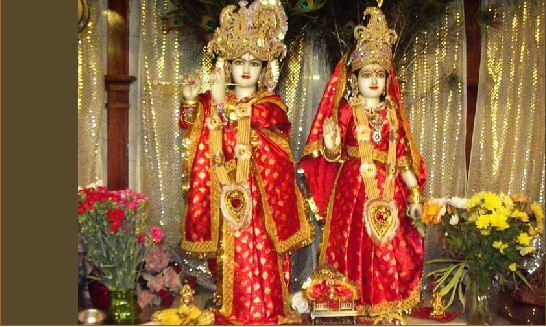 Address: 63-67 Bannockburn Road, Plumstead London, United Kingdom Se18 1Et.